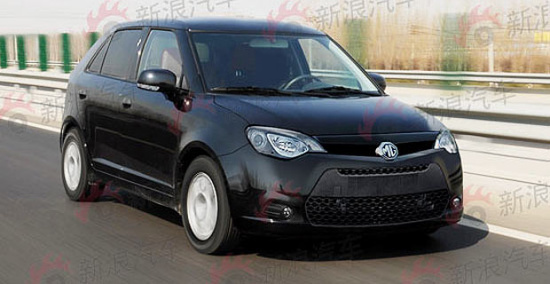 Pictures of a future MG3 were released onto the Internet earlier today, sparking rumours of possible engine combinations for the MG3 which will officially be on show at Auto China 2010 in Beijing later this month and will probably go into production during the summer. The Roewe 350 went into production last month at the former Nanjing-MG factory ahead of its launch later this month and is expected to sell very well against other competitors both domestic and foreign. Prior to the takeover of Nanjing MG, SAIC Motor were busy working on their own B-segment car which was codenamed S261 but later renamed the ZP11 and given the MG logo – that’s the MG3 shown here. The A-pillar looks quite similar to the Skoda Fabia, whilst the rear C-pillar is similar in style to the current Suzuki Swift’s rear end. The front end certainly has the same styling theme as the new MG6. The MG3 does look very similar to the Fiat Punto in these pictures, which might indicate some Punto genes within its DNA. A number of unmarked Fiat Puntos were spotted testing near SAIC Motor’s facilities late last year and that prompted rumours that the MG3 might be Punto-based. Engine power will initially come from a 1.5T producing 78Kw/6000rpm and 135Nm of torque at 4000rpm, which will make it quite a potent little car. Another 1.3L engine is also in development, as the MG3 SW’s 1.4L block is considered too old to be taken seriously in any new car. A 5 speed manual and also a new style Multimode stepless automatic box will be made available for the MG3, but we won’t see any DCT tech on this car according to the Chinese press. [Editor’s Note: Motoring Journalist Adam Sloman of SkyBlue Freelance has now drawn our attention to these images of the MG ZERO Concept which will be officially unveiled at Auto China 2010 in Beijing later this week. Oddly, I think it looks better than its larger sibling. I think both cars need a tidy up at the front. Oh, and another interesting point, the Kia mid-sized car, whatever it’s called, looks a little like the MG3, except better. Alex. Has the look of a Skoda Fabia? Sorry, I’m normally quite up for all the SAIC stuff, but this is rubbish! Showing it’s true colours I fear – as it says above, it was developed before they bought MG. The rear door/C-pillar arrangement is so old-fashioned looking… and I drive an original Fabia so know a thing or two about boring styling! I can’t quite put my finger on it, but this just seems so old in it’s (pre-MG facelift) styling. Skoda side profile, Punto rear and a front vaguely resembling a Polo Fox – VW’s effort at copying the Rover Streetwise. It’s got China written all over it: an on-the-cheap lash-up of copied designs. Yes, looks like a Skoda Fabia or a smallish Suzuki – not what one wants an MG Sports Hatch to look like. A brick looks better than the bland current model Fabia. Too Asian looking – looks like something Proton would make. No, No, NO, NO!!!!!! As a British car fan, we cannot let this happen. No, it does not look promising. No, it does not share the attractive, sleek look of the MG6. However, what it does look like is a Proton Savvy on steroids. I’m all for the return of MG and I don’t like slating British cars, but this is just awful – the rear is a mix of CityRover and Lada Kalina and the side windows are just far too boxy. NO! This looks like a Hyundai i30 with a tacky after-market grille on a bad hair day, not an MG. Sorry, but this is neither one thing nor the other! Bland, with no character. Certainly has some VW in there… Polo and Fox. Growing on me every time I look, though. This needs to be badged as an Austin or Morris – perhaps these versions are to follow. What a horrible unsporty, dumpy little car! I bet Cecil Kimber is spinning in his grave! It looks good but not as an MG – it’s not doing the badge any favours. Bring back Morris and stick that on it. SAIC Motor’s references to Morris Garages would then, at least, make a little more sense. No, no – for God’s sake, it looks like all the other boring cars. It does look a little anodyne – but then it doesn’t look vastly different from a Metro crossed with a Kia Picanto – with maybe just a dash of Fiat Punto… all of which sold/sell pretty well. The styling’s not particularly challenging – unlike some of the Renaults for example – it’s distinctive enough to be attractive – yet not different enough to put people off it. I remember my father had a Safrane 2.5 for a while before he got his first Merc and it was a beautiful car – one of the most attractive large saloons I ever have seen except maybe for the 406 coupe – and then Renault produced the Avantime – and lost an (£85,000) customer on the spot… Nowadays Renault can get away with that because they have a track record in that sort of design but the MG2 cannot. There are a few detail improvements I would make – for example the position of the exhaust looks frankly odd and out of place and it needs a little more aggression on the styling. However, put a decent engine in it – and, in a flagship model, decent spec, a decent paddle gearshift & good suspension and it could be a winner… not to mention shifting the front bumper seam to the bottom corner of the headlight and making the centre panel a one piece section – as it is it looks tacked on. It’s OK for what it is but it’s just so bland – if VW launched a design like this, then fair enough (VW never met a square box they didn’t like). However, this design has no flair at all. A B-segment MG should be sporty looking and exciting and, in terms of design, should be aiming for the Ford Fiesta. Anything less than that is a waste of time and a failure – if SAIC Motor want us to believe that MG is still British, then the company needs to come up with something better than this! I saw this and thought it was one of those wacky facelifted-Fabia-built-under-licence agreement models that VAG give their foreign divisions. A Fabia with a Fiesta front. I looked at this and read the comments – somehow Volkswagen are getting blamed for the way the MG2 looks. I have also just read the story about the Maestro and Montego facelifts and noted that some comment on how they preferred the BL originals. We are led to believe there is some great BMC/BL/ARG/MGR styling DNA which is being thrown to the wind whenever SAIC/Nanjing come up with something. Could it possibly be worse than the Rover 45 – Rover hamstrung with one of Honda’s less appealing efforts, the CityRover, the Mk1 Rover 200, the Maestro etc. What is British about the design of a Rover 45 or any other Rohonda car? I don’t think the MG6 exterior looks up to much, but maybe they’re at least starting to develop a new design language. Please spare everyone the ‘tears in the beer’ quotes about diluting MG’s heritage, which has very little to boast about after the 1960s. A challenge to the AROnline posse: what the hell should an MG hatchback look like? Rover were subject to platform sharing. Most manufacturers do it to a certain extent. 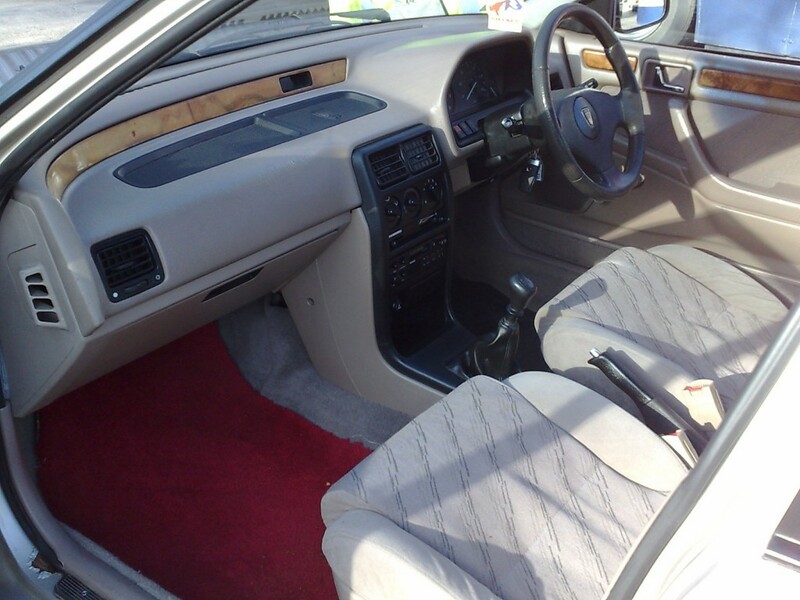 Rover DNA was transplanted onto their donor platforms in terms of a comfortable cruising ride, interior ambience, styling touches such as the 80s flat panel grille -> 90s chrome grille. What should an MG look like? Purposeful. Take inspiration from the Alfa MiTo (without the googly headlights), 206/7 GTi and perhaps I could add the worshipful VAG’s new Seat Ibiza to the list too. The MG grille should be a classic 2/4 slot grille, similar to that of the Mazda 6 MPS. There is a difference between those vehicles and the Fabia and Fiesta which this MG has been compared with: the Fabia and Fiesta are not designed to be overly sporting or aggressive – they are designed primarly as small city cars, not drivers’ cars. My first reaction was one of horror. The bonnet and front bumper remind me of someone with a protruding front lower lip. If MG is to succeed in the marketplace, then the company needs to give the car a feeling of quality, desirability and up-to-the-minute styling. Instead, this looks like any boring car you could buy from Hyundai, Kia or Suzuki and that’s a shame. I notice that most cars these days have pull type door handles rather than lift up ones. Not sure if this is for style or some other reason, but the absence of these does make this car look dated. AROnline readers can now view a photograph of the MG Zero Concept which will be offiically unveiled in Beijing later this week here . I reckon that this looks much better than the rendered images. Please tell me that the thing in the first pics isn’t for real. The concept, yes – but, after pulling out (most of) the stops for the MG6, the version of the MG2 shown in the renderings is rubbish. Happy to help when I can, Clive. Looks a tad like an old Punto with a bit of new Golf at the front and some Corsa at the rear end. That one word said though… I still can’t see the rear pillar and door arrangement and that’s the more bland bit! MG Zero Concept – now that’s more like it! It looks like a version of the current Hyundai i20 and i30 range. I am not too excited about the look of it, I’m afraid! You say that the Renault Safrane “was a beautiful car” – have you been at the plant food again? As for the MG2, it looks like the dog in the Churchill Insurance advert. Thank God SAIC Motor don’t own the Rover badge as well! MG Zero, that’s what the market needs, not more cars like the MG2 which is just a mish mash of other cars. The Citroen DS3 and the new baby Audi A1 look great and have individual styling which is what a new small MG should have – it should, preferably, also be built at Longbridge. Does every potential buyer like this sort of shape? Can’t we have elegant instead of boxy occasionally? I quite agree, I think it’s a wonderful looking car. I certainly hope we see the car built at Longbridge and following in the footsteps of great baby MGs, like the 1300, the MG Metro and MG ZR 160. I have to disagree, it stands out as something different. If it drives right, it deserves the MG badge. Ah, but there was never an MG version of that! I think the Safrane was attractively styled and made a very good Q-car in its Biturbo guise, which sadly didn’t come over to the UK. What would you call the Cooper then? It may not have had the MG badge on it, but it was of the same bloodstock and ideal. Oh, and don’t foget the myriad of enthusiast-converted cars with the 1300 Metro Turbo engines fitted (not something I would be volunteering to service, mind you). I think the MG2 will sell because it fits with the market – it won’t be the leader of the segment – unless the engine/transmission/suspension package is something special but it will do OK. Oddly enough, the more anodyne and ‘boring’ the car the better it will sell – the simple fact is that it will appeal to everyone – girls included. Do you have any idea how painful it can be in a car with bad suspension when the chesticles are being bounced all over the place…? Be glad you don’t have DDs in a BMW M5 (and, btw, I don’t mean the troop carriers from WWII). There is no ideal car being manufactured today – so something with the widest appeal with always be the best option.That’s just how it is. Do you seriously think a modern version of an MG Midget that leaked in the rain, started first time only when there was an ‘J’ in the month and had the handling ability of a bantha on speed is a suitable product for 2011? A healthy respect for the past is one thing and it can be good – living in the past is not. Oh look – they prettied up the MG2 and you all fell for it – the MG ZERO is the same car with a little bit of fettling – ironically what I suggested in the first place mostly… They’ve nicked the exhaust from a Corsa *shudder*,the rear quarter fins from a Humber Sceptre and, to top it all off, the tail lights from a Maserati – and you complain about hodge-podge cars?! Yeah, that would probably sell better – but only if it’s competent. Anyway, looking at the latest images of the MG ZERO Concept, I’m not at all sure that Cecil Kimber would be spinning in his grave! First things first, you say that the Safrane looks like the new XJ. Eeeeeeeerm no, never, never, never ever so we have to agree to disagree or just go to Specsavers. Second point, on the TATRA T2, you are redeemed all TATRA’s are awesome beasts and I would love one or two. Third point, on the MG Midget, I restored a ’72’ RWA and I can confirm that it was a brilliant handler – just look at the amount that are still track-dayed and hillclimbed. Oh, and as for a leaky roof, I never bothered rain or shine all year round. This was partly due to the fact that I am 6′ 3” and couldn’t get in it with the hood up!! Fourth point, please don’t mention bouncing DDs as now I need to wear a hair shirt for the rest of the weekend to banish the naughty thoughts running through my mind. TATRA T2, isn’t that a Tram? This is BRILLIANT. A perfect replacement for the Metro – this is further proof that SAIC Motor really know what they are doing. I just hope they invest in a decent marketing campaign to ensure that this car has every chance from the off. Some very negative comments on here. Then again, i dont know why that surprises me anymore. Please just remember, none of us have driven it and this is not the final spec UK version. It is in no way an ugly car althoug I can agree with some of the comments that see it as looking a bit dated.